The Lyrid meteor shower is tonight and—even though there’s going to be some obstacles to navigate—it’s still a spectacle you shouldn’t miss. Here’s how, when, and where to watch tonight’s Lyrids. The Lyrids are a spring meteor shower made up of debris from Comet Thatcher falling (dramatically!) through our atmosphere. Although the meteors themselves are individually bright and lovely, the Lyrids as a whole are a little unpredictable. Sometimes you can see literally hundreds of meteors per hour (like a particularly weird year in 1803, where observers counted well over 700 per hour) while other years the shower seems to practically disappear, with just a few meteoroids visible. This year is expected to be an average-sized shower with up to 20 meteoroids per hour. The actual number that you’ll see is likely to be a little less that that though, because once again our old enemy, the Moon, has emerged to cause trouble. Tonight, in addition to being the peak night of the Lyrids, is also the night of a full moon, which means not all the meteoroids will be visible. Don’t give up in despair just yet, though (that would be letting the Moon win). While the moonlight is certainly going to obscure some of the meteoroids, the Lyrids are an unusually bright shower with many meteors about as bright as the stars in the Big Dipper. Even if the moon washes out the dimmer ones, you’re still going to see meteoroids—and the ones that you do catch a glimpse of are likely to be all the more well-worth seeing. In addition to the standard bright meteors, you’re going to want to be on the look out for exploding fireballs and the telltale trails of “meteor smoke” they leave behind. In fact, in general the trails of the Lyrids are often exceptionally long, so the meteoroids you do manage to see should be dramatic. 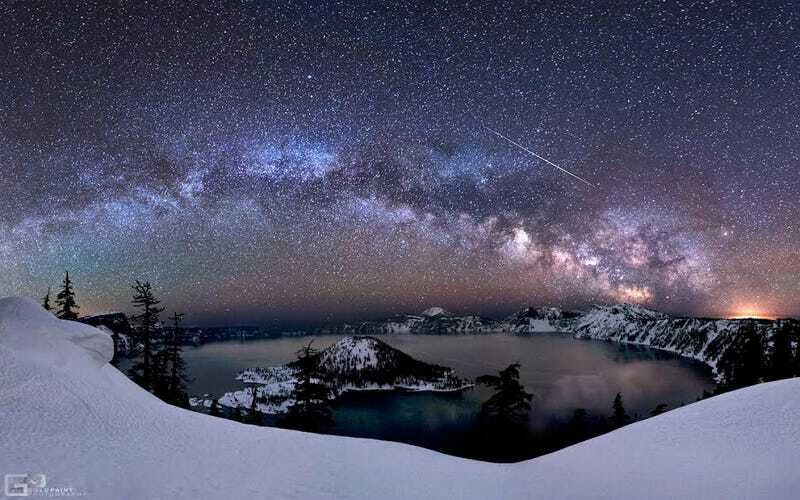 Although you can catch the meteors clear though the weekend, the best night to try is tonight. Peak meteor viewing happens, much like a properly-planned duel, right around dawn, but you’ll be able to see meteors all throughout the night after 10 p.m. 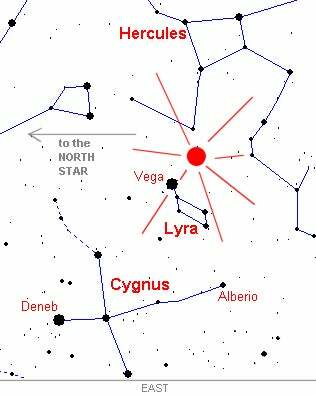 The radiant, the point where the meteors appear to stream from, will be right above Lyra (the constellation that gives the shower its name). Staring directly at the radiant, while a decent strategy for some showers, isn’t likely to do much for you this time. With the moonlight so bright, you’re only going to catch the longest and brightest meteors anyway, so it’s far better to look out over the full sky. Choose a spot that’s dark, with good whole sky visibility. We’re finally well and truly out of the winter astronomy season so your kit will be (thankfully) a bit lighter this time. While the weather will be warm, depending on how long you’re out there, the ground could still get dewey so bring along a blanket even if you don’t think it’s cold enough to need one. It’ll also get chillier as the night wears on, so bring something light to wrap up in. Beyond that, you’ll want all the usual suspects with you: A star map (if you don’t own one, this is a good app), snacks, you can substitute a lawn chair for a blanket if you want, but really the point is to see as much of the sky as possible so I wouldn’t recommend it. If the sky does end up being too bright or too cloudy, you can always catch a livefeed. I like this one from the Slooh Observatory. But really, a screen just isn’t quite the same so you should definitely try to catch in-person, if for no other reason than to show the Moon who’s boss.